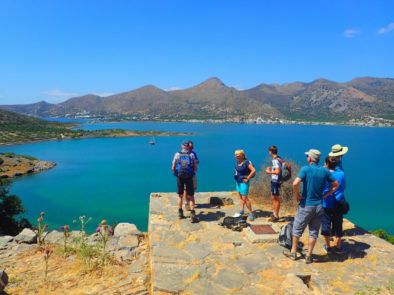 Walking on Crete Greece 2019 – Hiking in Greece: Information about walking on Crete: Our accommodation is located directly at the seafront and is an ideal starting point for hiking across Crete, both in the summer and in the winter. We offer possibilities for individual hikes or group hikes. 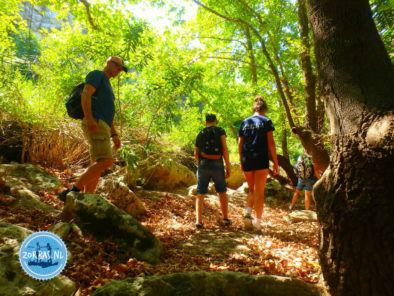 You might know the Samaria gorge, but to explore more from the beautiful and diverse nature of Crete, you should really join us on a hike. 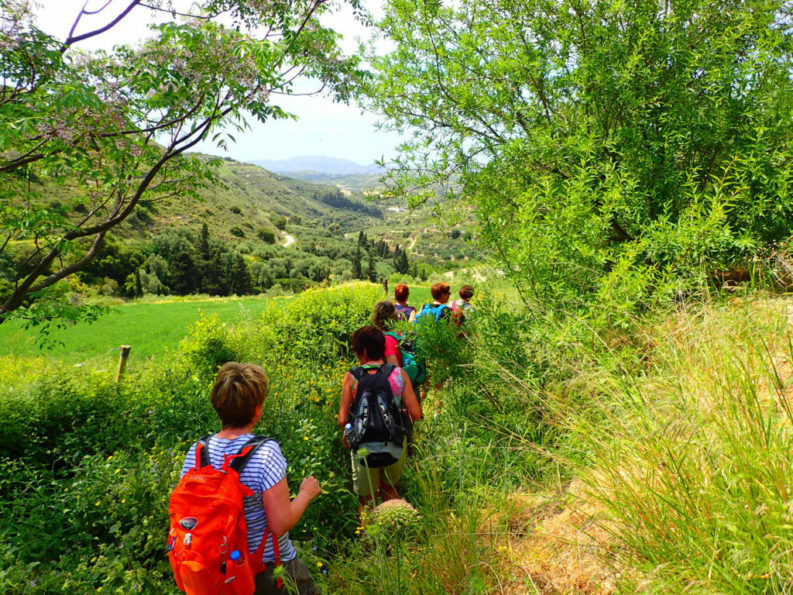 There is a great variety of walks on Crete: walking tours through Greek villages, impressive mountain and gorge hikes on Crete or walking through the olive groves and fields on Crete. 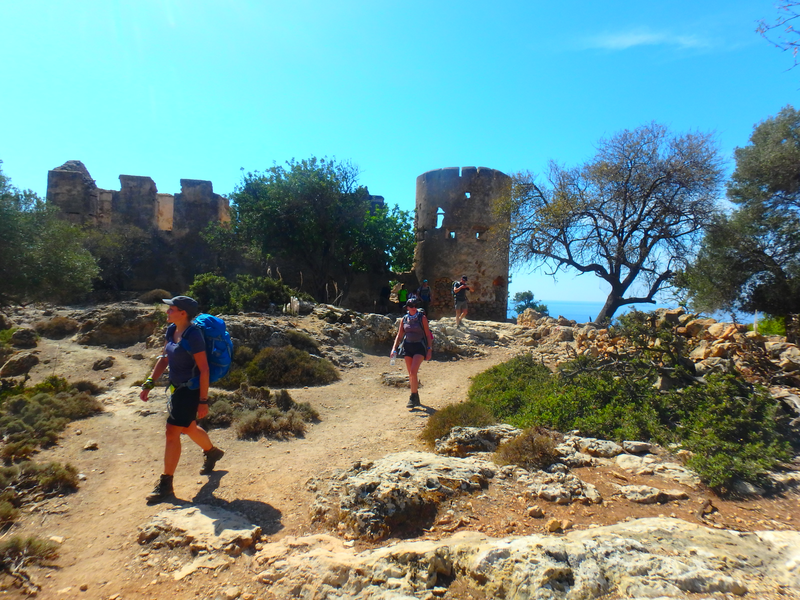 Our walking tours are suitable for everybody: from group hiking tours on Crete to individual walks or aged 50+ walks on Crete. You can book all our walks and hikes in combination with accommodation on Crete Greece. 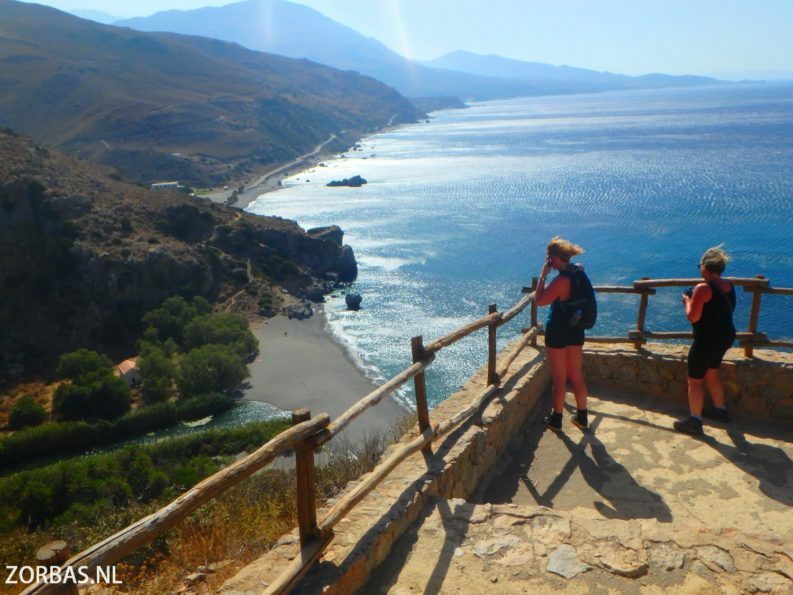 Multi-day hikes in southwest Crete: Hiking options for 2, 3, 4 and 5 days with overnight stays along the way. This is also possible combined with our other hikes. There are possibilities for March, April, May, June, September, October, November and December. Unique Hiking weeks on Crete in March Till November 2019: Who feels like joining us? 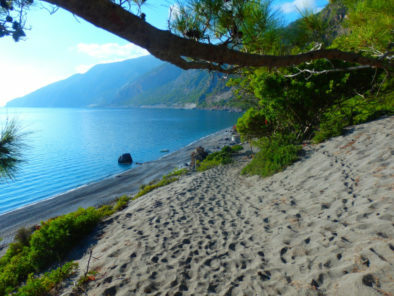 We will hike a large part of the E4 hiking trail on Crete (walking). 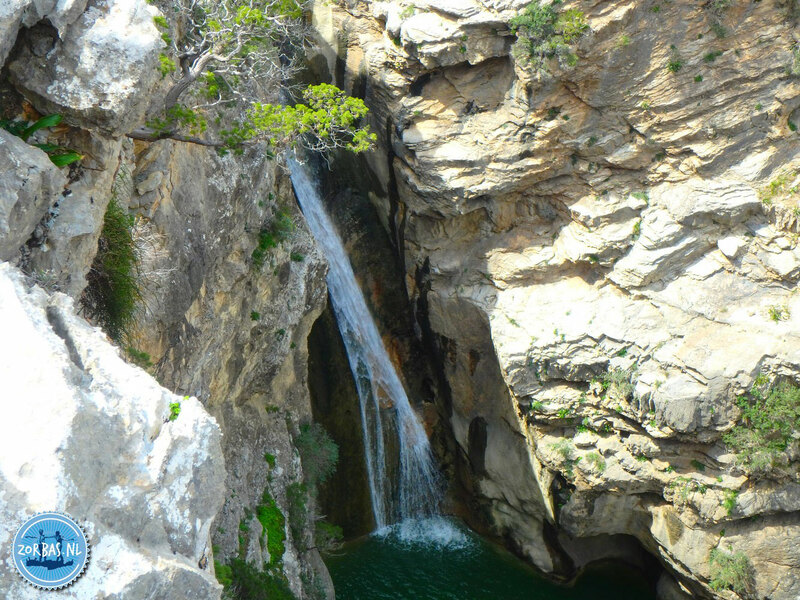 This hike has a total length of approximately 50-75-90 kilometres. We will stay overnight at various locations. This hike is the E4 walking trail from Paleochora to Sfakia. Along the way we also visit some gorges. Who wants to join us, should register in time. We will walk 2-5 days. 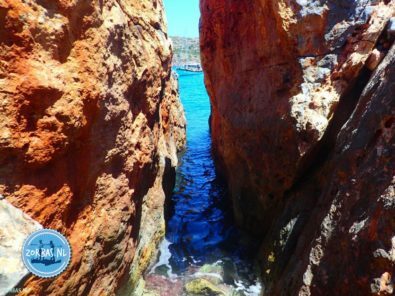 Hiking in West Crete, the E4 hiking trail: Paleochora – Cape Plakes – Cape Flomos – Soughia, (Sougia) – Agia Irini gorge– Triptis gorge– Agia Roumeli – Samaria gorge– Agios Paflos – Cape Plaka – Aradhena gorge– Likos – Finikas – Loutra – Chora Sfakion (Sfakia). 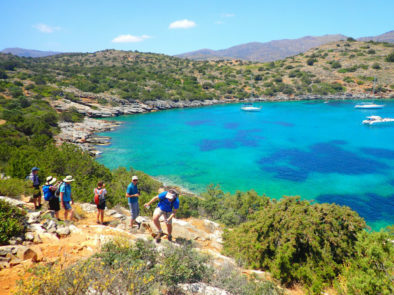 Hiking options on Crete: Our walking holidays on Crete are suitable for everybody: inexperienced walkers, experienced hikers, family hikes, aged 50+ and 65+ walking holidays, travelling alone on holidays to Crete, single holidays, group hikes. We organise the whole year round walking and hiking tours on Crete. 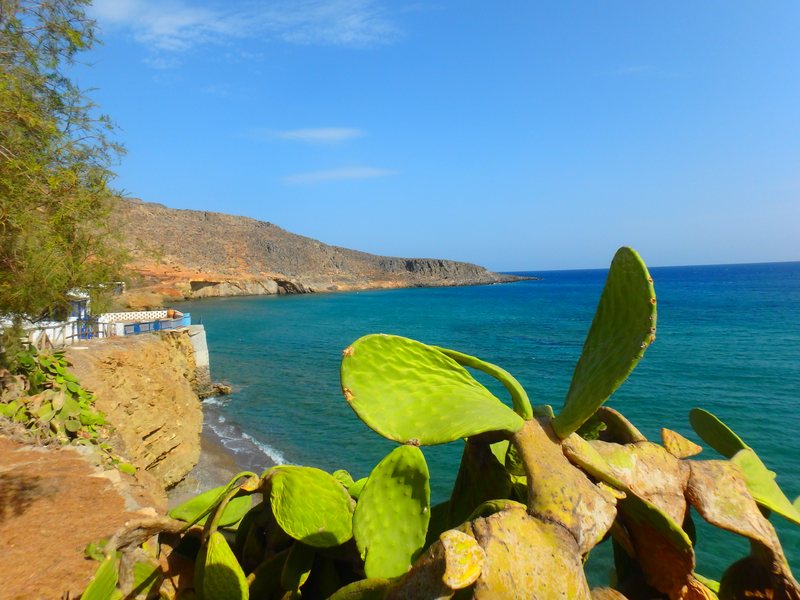 Hiking week on Crete – walking holiday: A whole week walking and hiking on Crete. This holiday we offer you, is a combination of accommodation and walking. You will do 5 hikes in 8 days. In case you stay 10-14 days, we also offer additional hikes and other activities during your stay. 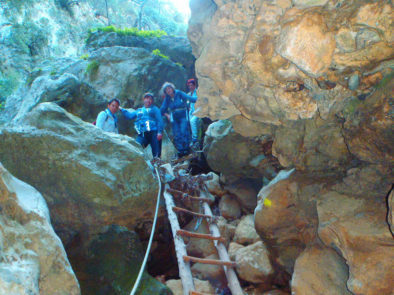 Of course it is possible that you combine your walking vacation on Crete with other active outdoor excursions. 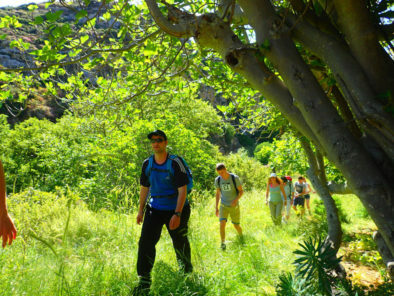 If you really want to discover the nature of Crete, our hikes are a unique experience for everyone. We adapt our walking routes to each level, from the experienced to the less experienced walker! Hiking routes – Hiking with a guide in Crete: Here you find short descriptions of our walks with or without a guide. We have routes for the experienced and less experienced hikers. There are single holidays for hikers, aged 50+ walks, group hikes, individual walks, etc. We have more than 30 different options. 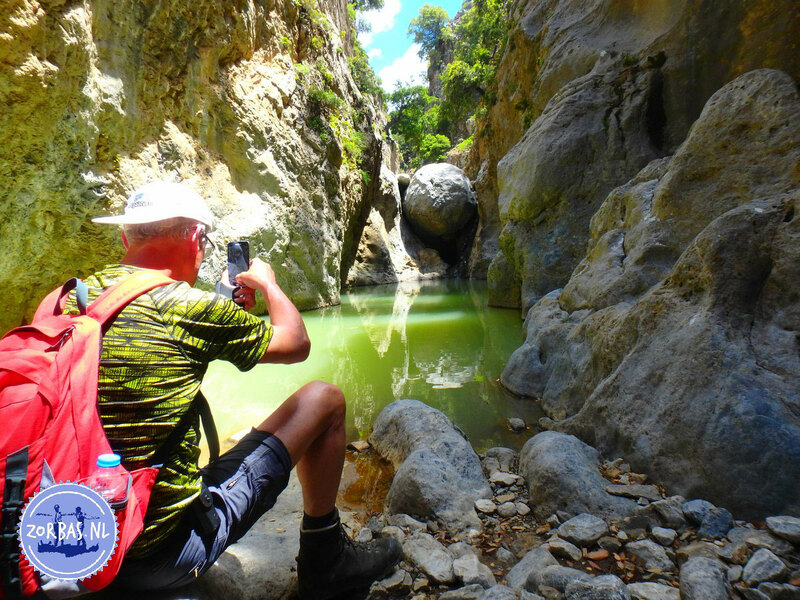 Roundtrip on Crete: It is not easy to create new roundtrips in the mountains of Crete, because with a gorge hike we often walk the same way back. Yet we did manage to create some unique roundtrips for you, each walk is different and original. By walking on Crete you can really explore this beautiful island. Individual hikes in combination with accommodation on Crete: A lot of people like to go out and explore on their own. We have unique walking trails in our area, but also further away. We provide you with sufficient information about the nicest hikes on Crete, ranging from short to long distances and from easy to more heavy hikes. Often after breakfast we explain about the walking tour of that day. We also have GPS routes and walking maps for nice hikes you can do by yourself. When desired, we can organise your transfer to and from your hike. 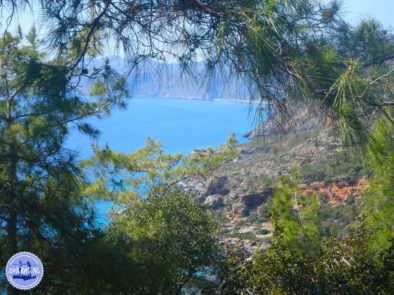 Both summer and winter we offer possibilities for walking on Crete. 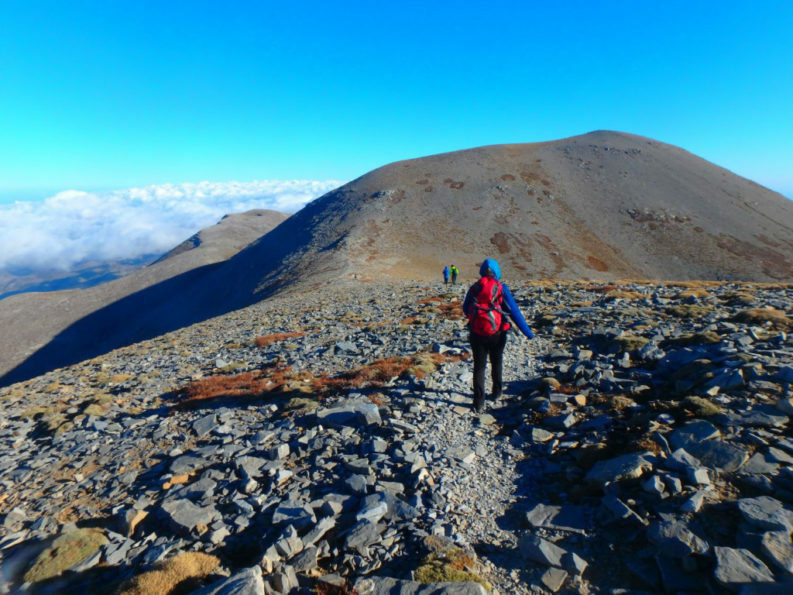 Multi-day hikes on Crete: On this page you find an overview of our two-day hikes including an overnight stay in the mountains. 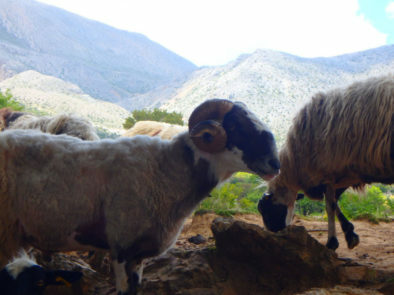 This way you can discover the nature of Crete in a different way, since we sleep out in the nature. We bring tents along and watch at night owls and other animals. 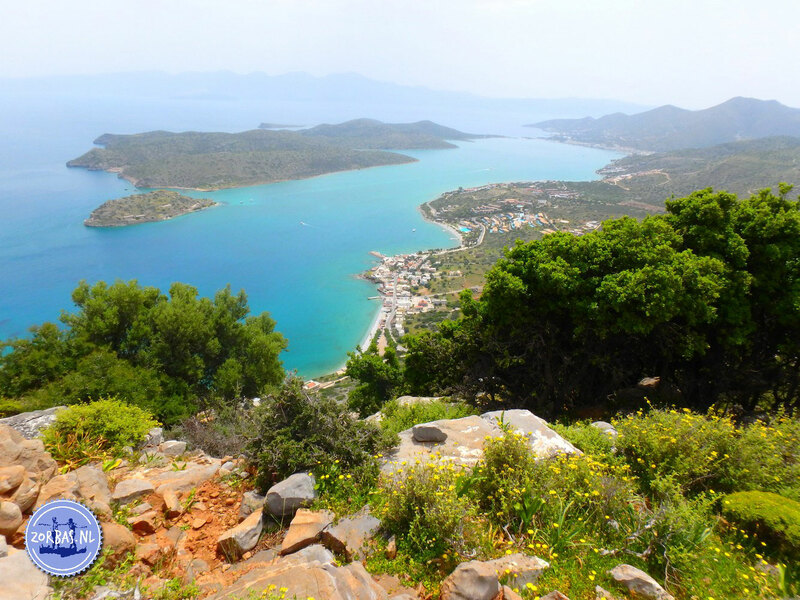 We have several two-day hikes in various areas on Crete. Of course it is also possible that you stay overnight in an apartment or hotel. Camping in an olive grove on Crete: Greece is for many a favourite holiday destination. 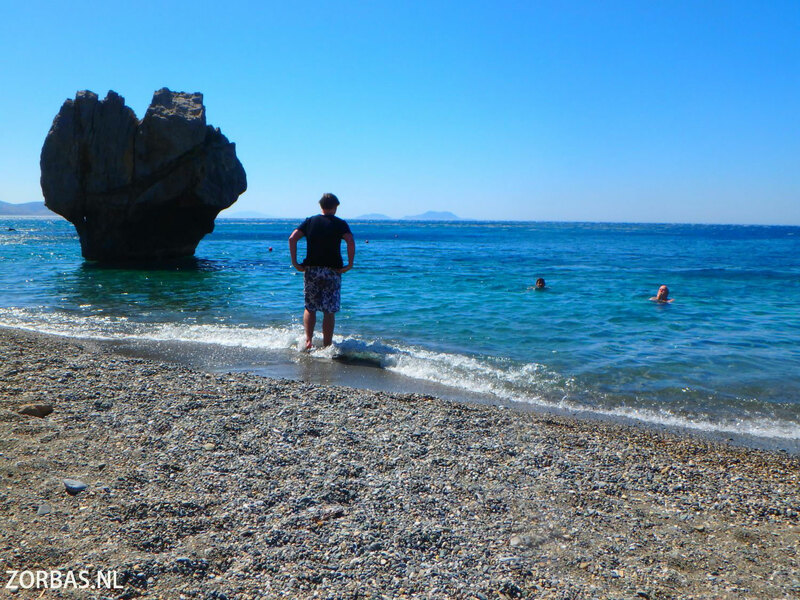 Sun, sea, culture, nature, traditions and friendly people are the main reasons why people go on holiday to Greece. Most part of the year the weather is perfect to enjoy the outdoors. 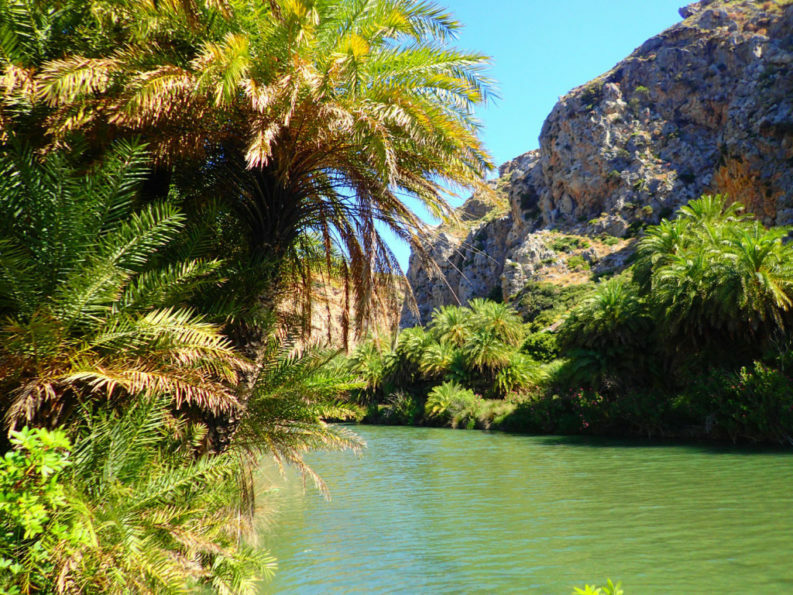 Agiofarango Gorge: This gorge is located in south central Crete. It is a shorter gorge walk. The end of the gorge is at a lovely beach at the Libyan Sea. Here we always prepare a BBQ for you. And if you would want to walk a bit more, you can go from the beach into all directions. 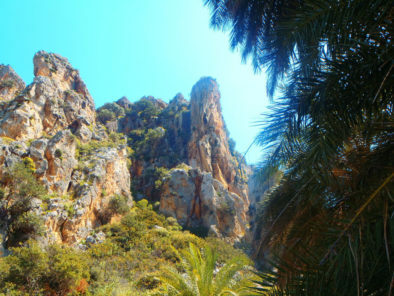 Anopoli gorge: A hike including a visit to the village and the monastery of Anopoli. 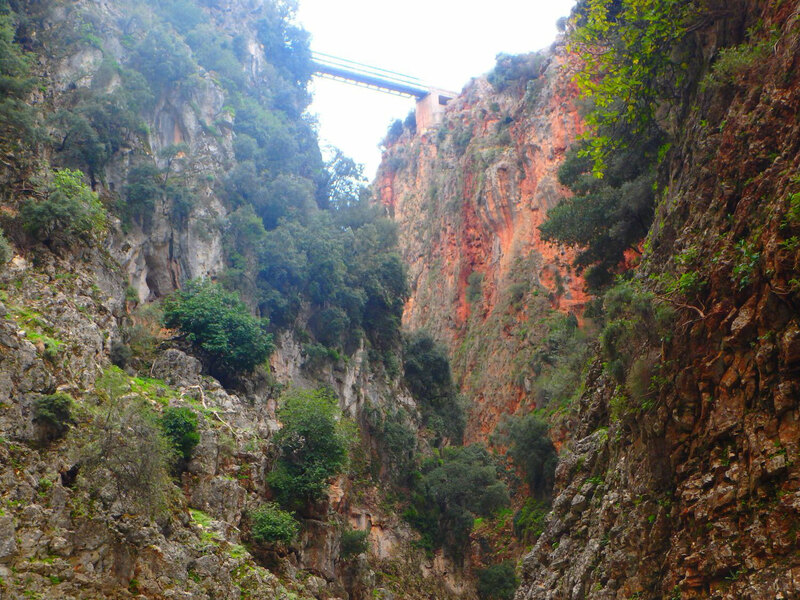 After our visit to the village we walk through the olive groves to a gorge. Via the gorge the hike goes along some geological spots with walls that have fossils within. In the area there are several geocaches to be found. Aposelemis Canyon: This canyon is a real hike with a lot of climbing and scrambling. This gorge has been created long ago by shepherds and they still use it every day. The gorge is breathtaking beautiful, a piece of nature you will never forget. Aradena Gorge in Crete: This deep and steep gorge is located in the South-West of Crete, close to Hora Sfakion (Sfakia) and Loutro. 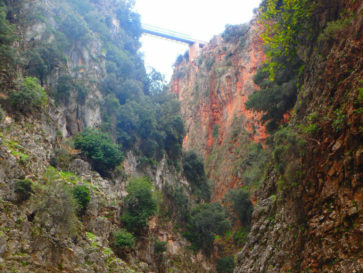 The narrowest parts of the gorge are connected with an impressive bridge towards the white mountains, next to the abandoned village Aradena. This challenging hike starts at a height of 650-700 metres and has a length of 16-18 kilometres. Archaeological walking in Crete: A gorge walk through the mountains, where you will discover a lot of archaeology along the way. 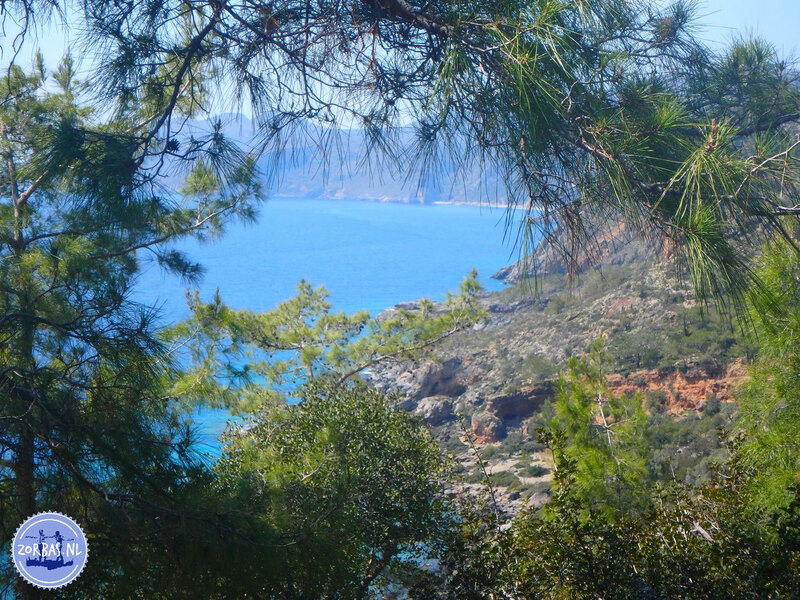 Along this archaeological hike you see different trees, plants and birds with all the time stunning views over the gulf of Mirabello between Agios Nikolaos and Mochlos. 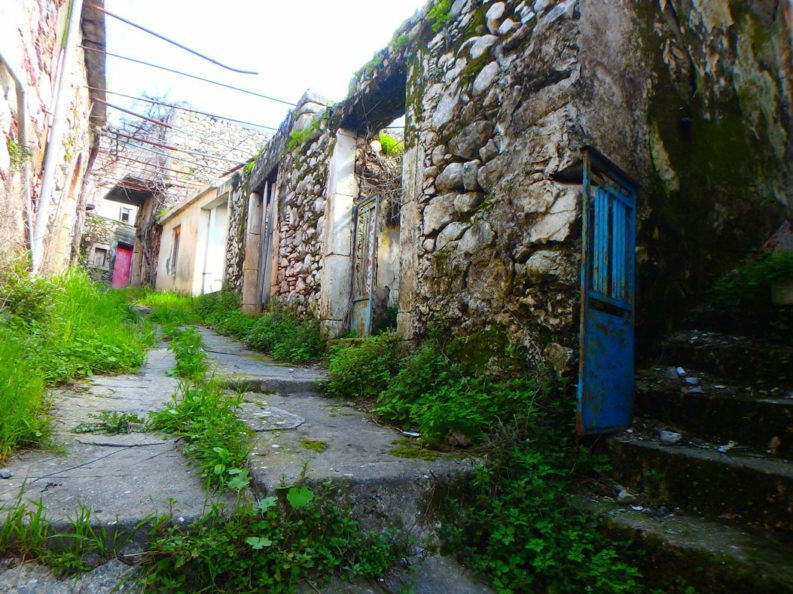 The walk starts in the village Kavoussi and Avgos. 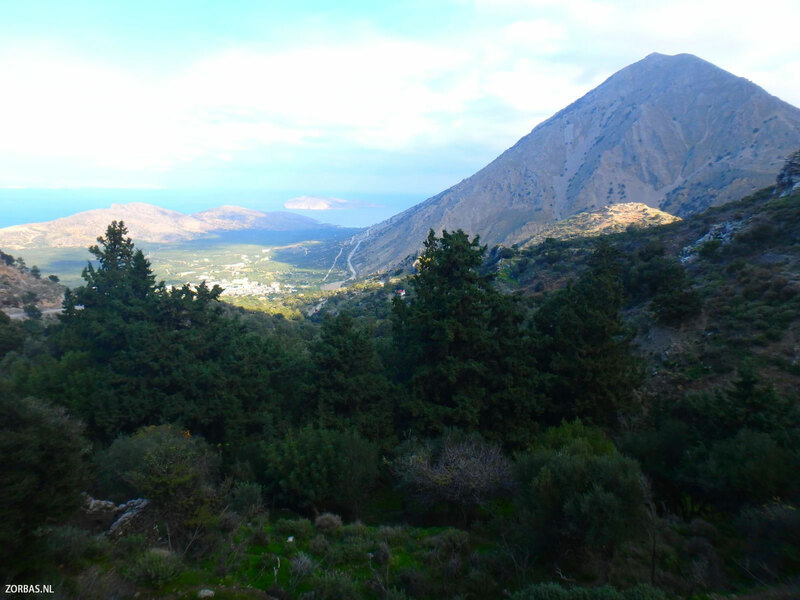 Episkopi, Stamnoi, Aitania: A beautiful walking area on Crete including a visit to 3 mountain villages. 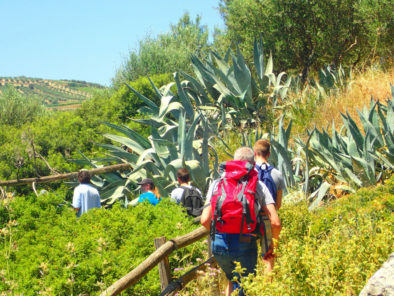 We combine walking through the nature with visiting mountain villages. Along the way we see gorgeous churches, the way of living in Greek villages, culture on Crete and stunning views of the sea. 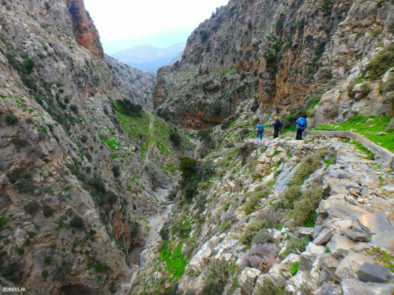 Ha gorge (Xa): This is a part of the E4 hiking trail at Tripti, Crete. Climbing and hiking at the gorge of Ha (Xa) and the gorge of Tripti, Crete: two days through the mountains on high mountain plateaus. Walking here, it seems like you are walking through the different seasons. This is an impressive hiking area following the E4 trail of Kavrousi. If you look at the Ha gorge from the top of the mountains, it looks like a canyon, but it is actually a sculptured rock formation by heavy water falls. You can only climb through the Ha gorge in a group with the canyon club. Havgas canyon Lassithi, Crete: A special hike through the Havgas canyon in Lassithi, not to be confused with the Havgas gorge at the village Kalamafka. This gorge has a river with melt water from the Katharos plateau. There are not a lot of people hiking in this gorge. 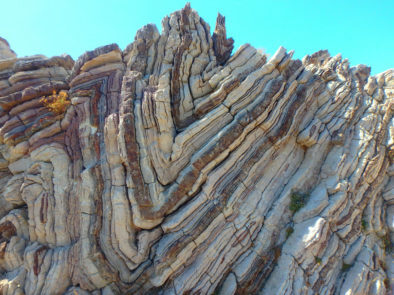 This is actually strange, because it is a magnificent canyon with beautiful scenery and nature. It is not an easy walk, but very suitable if you are an experienced hiker. 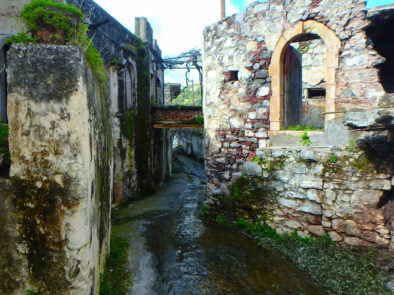 Kalami, Crete (the abandoned village or ghost town): This is an easy walk of about 10 kilometres. We also make a village walk through this mysterious abandoned village and go swimming and snorkelling at Psari Forada. 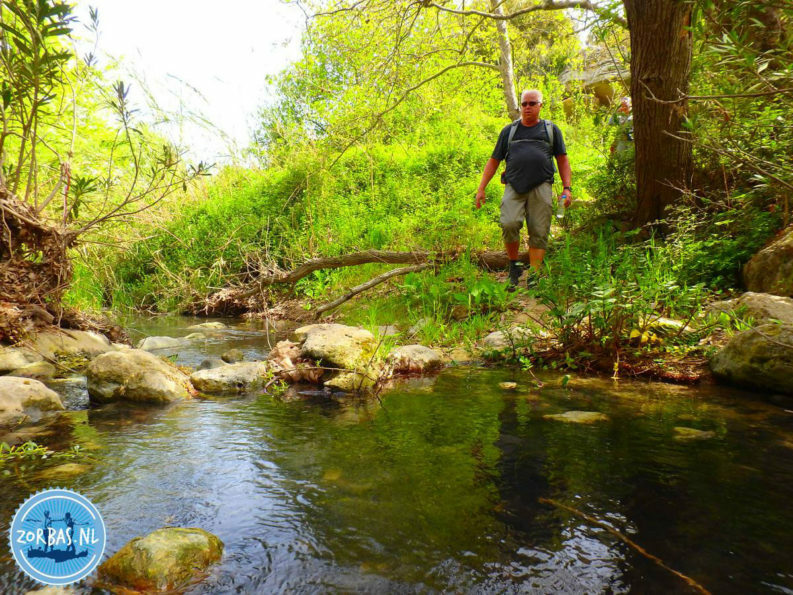 Koxari, Hariso & Voritsi walking trails on Crete: This is a hike which is not easy to be found, secret little paths through olive groves, villages and to a monastery. This walk is not marked with dots or signs. Very often we have a wonderful view over the sea. We walk through villages where time stood still. 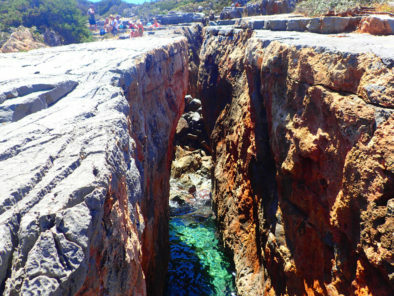 Kritsa Gorge: This gorge is truly an experience! The narrowest part is only 90 centimetres wide. The high rock walls on both sides are really impressive. The Kritsa gorge goes in a circle, so you end up again at the beginning of the gorge. 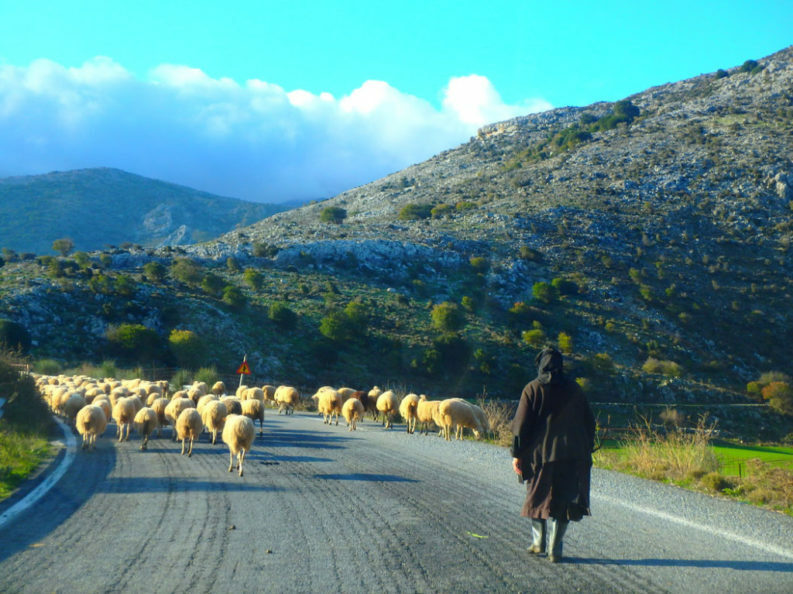 Limnes walking: Even though we call this tour “Limnes active walking in Crete ”, we can give this walking trip so many other different names, because of its diversity. The walk starts in the area of Neapoli. The town Neapoli used to be the capital of Lassithi, therefore many roads lead to Neapoli. This area has many kalderimis (ancient donkey trails) right through nature. Some of these old trails are made of stone, but you always have to sort out where to go. Sometimes we walk through a river bed, cross an olive grove or through a small gorge. You pass 5 villages: Limnes, Choumeriakos, Platipodi, Vrises en Nikithianos. These villages are not easy to find and to reach. 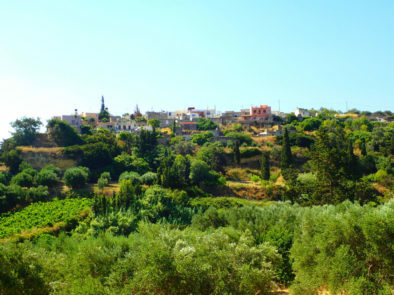 This area thrives on agriculture and olives. 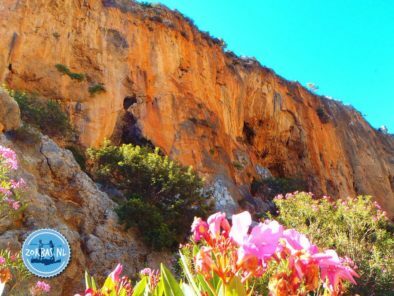 Mesonas gorge on Crete walking and hiking: This gorge is situated in the eastern part of Crete with often gorgeous views over the Bay of Mirabello. Large parts of the hike are on a kalderimi, the ancient connection roads or actually the donkey trails on Crete. 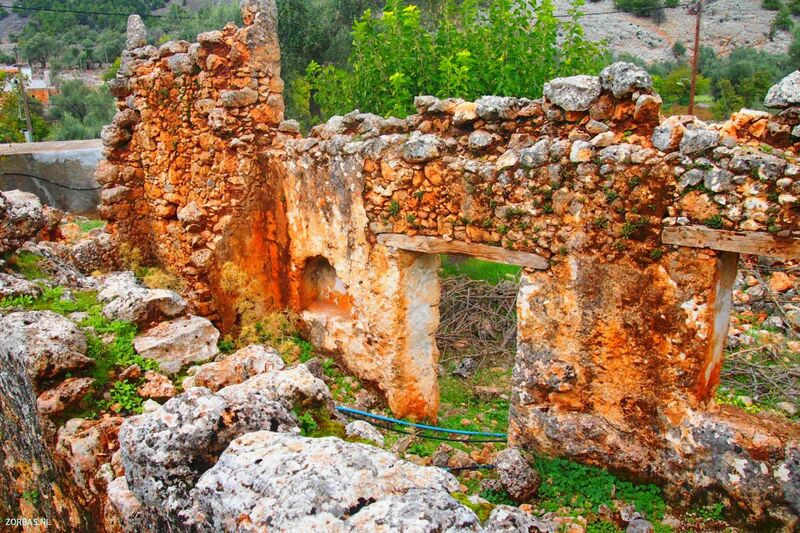 It is quite a tough hike that starts at the village of Kavousi and passes along the archaeological settlements Vrontas, Azoria and Kastro. When history interests you, this is for sure a great area to visit. But also for the nature lovers there is a lot to enjoy with the various trees, plants and herbs that grow here are beautifull. 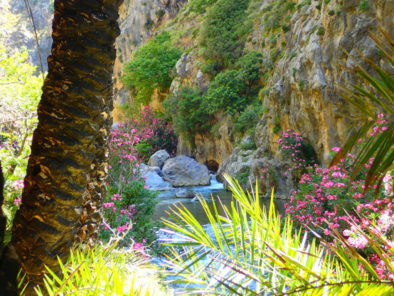 Mili Gorge on Crete (Rethymnon): The Mili gorge is pretty easy to walk and starts at the village Xiro Chorio. The vegetation in the gorge is really magnificent; the whole area looks like a jungle with so many plants around and even a flowing stream is not lacking. The path is a beautiful ancient kalderimi with a lot of history. Besides the stunning nature you will see on the way everywhere old abandoned houses, including even a deserted little village. 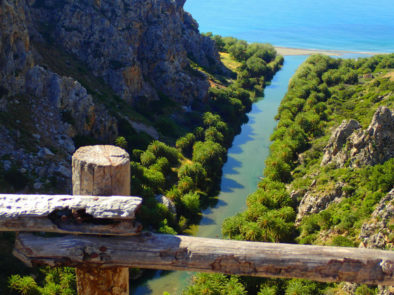 Neraidogoula – Nature walks in Crete: A walking area in Crete with one of the most important ecosystems of Crete. Walking in a pine forest is quite in experience, the blue skies and the green of the trees have a magical effect. 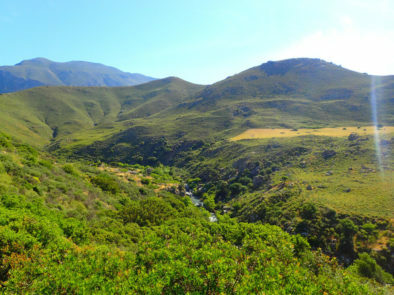 The area lies between the mountains. The top of the mountains is 2200 metres. There are many walking trails in this area. 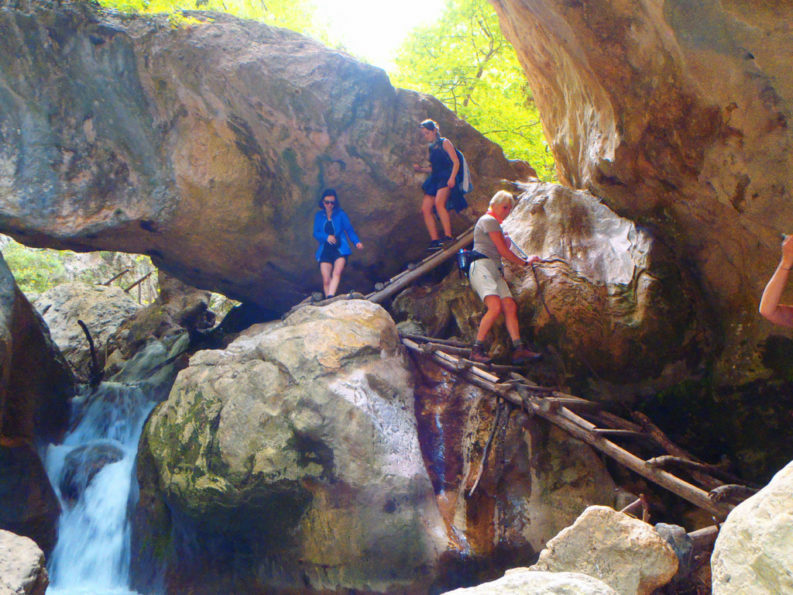 Patsos Gorge: A spectacular gorge, where you will have a lot of climbing and scrambling. 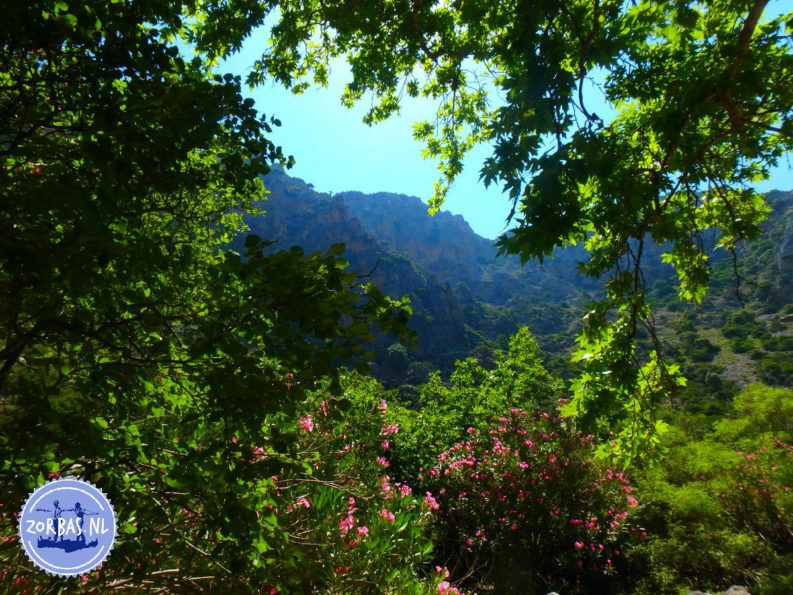 The Patsos canyon runs through a beautiful walking area on Crete. Psiloritis Hiking on Crete: This walk is actually a heavier hike or mountain walk to the Psiloritis. The Psiloritis is the highest mountain of Crete with a height of 2.456 meters. This mountain is also known as the Ida mountain. 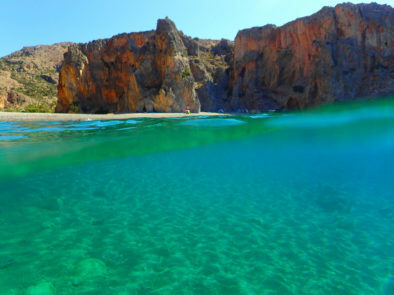 The Psiloritis is located in central Crete in the province of Rethymnon. Richtis Gorge: This hike can be done both in summer and winter. 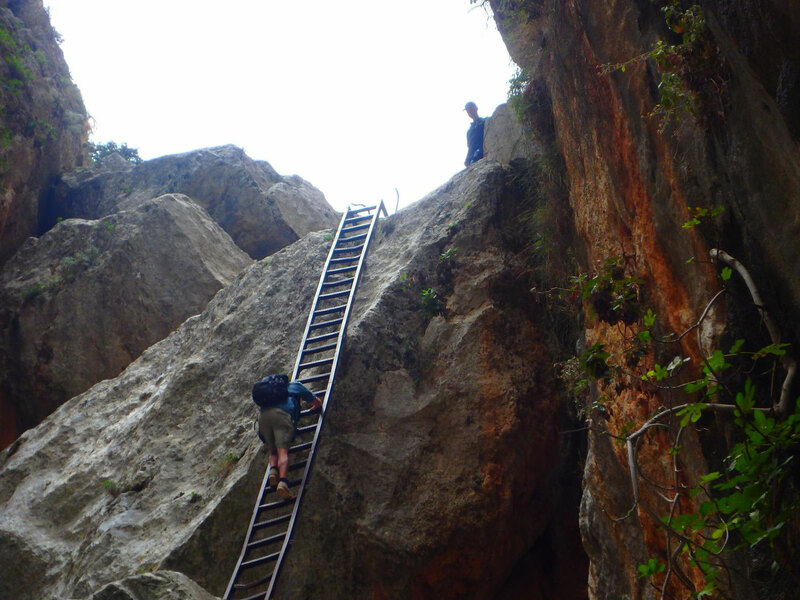 During this hike it is necessary to do some climbing and scrambling at certain parts of the gorge. The total walk is only 6 kilometres, but there are even parts in the wilderness where we have to find our own way through. Halfway this gorge we encounter an impressive waterfall. 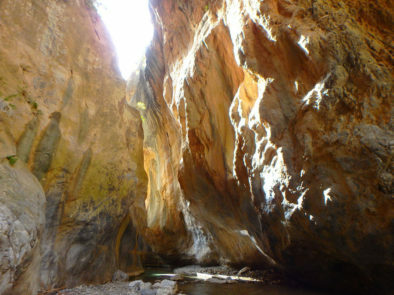 Rozas gorge on Crete: The Rozas gorge got its name from the colours of the rocks of this canyon. 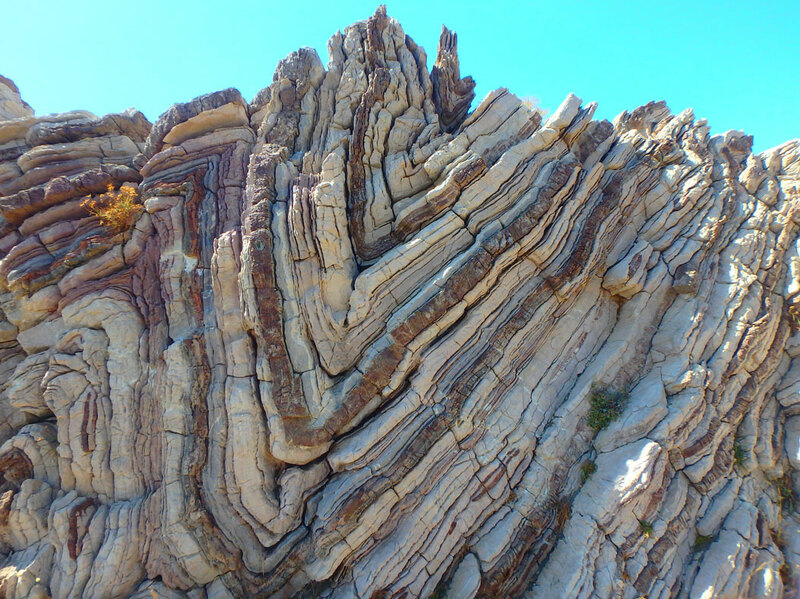 The impressive rock formations of the Roza gorge are rose and red. The downhill route of this gorge is spectacular, the view is even better than the Samaria gorge. It is a deeply carved canyon with many different plants and flowers. In the early morning you have a breathtaking view, you can even see the sea far away. 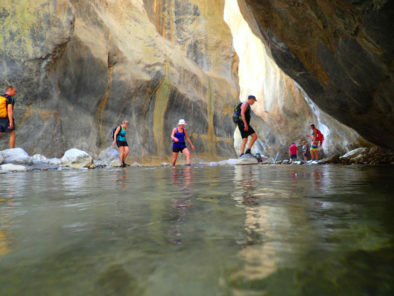 Sarakina Gorge: Walking through this gorge is a real challenge. You can walk in the gorge a short and a long distance. The gorge is really wonderful, with sometimes quite a bit of water inside. Skalopatia hike: Skalopatia is a unique piece of nature on Crete. 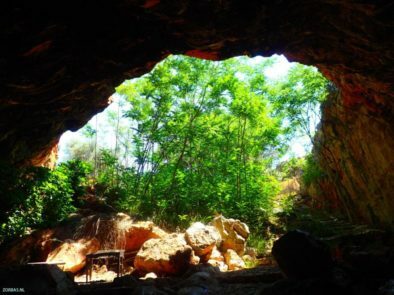 This hike will be on an ancient Kalderimi, the old connection walking path, going right through nature. The location is central Crete. We start our walking tour at the kafeneion of the village and from there we will walk 7, 12 or 20 kilometres. We organise this tour weekly, in the summer and in the winter. Skotino – Kokkini Hani: A hike with a visit to the village of Skotino and the Agia Paraskevi cave, through a hilly countryside with great varieties with the starting and ending point Kokkini Hani, a village at the coast. 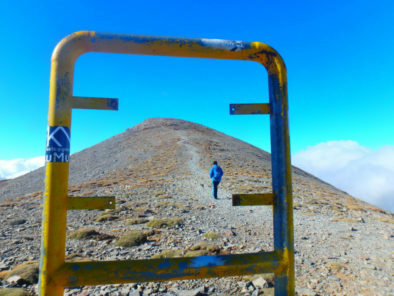 E4 walking path on Crete: Multi-day hikes on Crete. 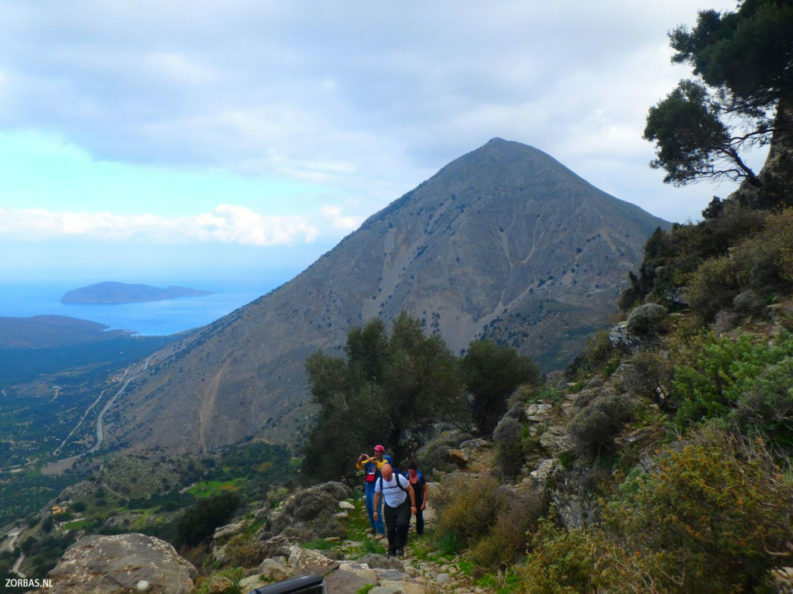 We offer a combination of various hikes on Crete on the E4 hiking trail. From this page you can click on to all the hikes we offer in combination with accommodation on Crete. There are also combinations with the hikes possible, like hiking for a few days on the E4 walking path on Crete combined with other hikes in the area of Zorbas Island. We have merged the most scenic routes of the E4 with many of our own hikes. Every year we create new routes in the winter for our guests. 01 Hiking the E4 path on Crete: Sfakia (Hora Sfakion) – Glyka Nera – Loutro – Phoenix – Aradena – Marmara – Agios Pavlos – Agia Roumeli – Imbros. 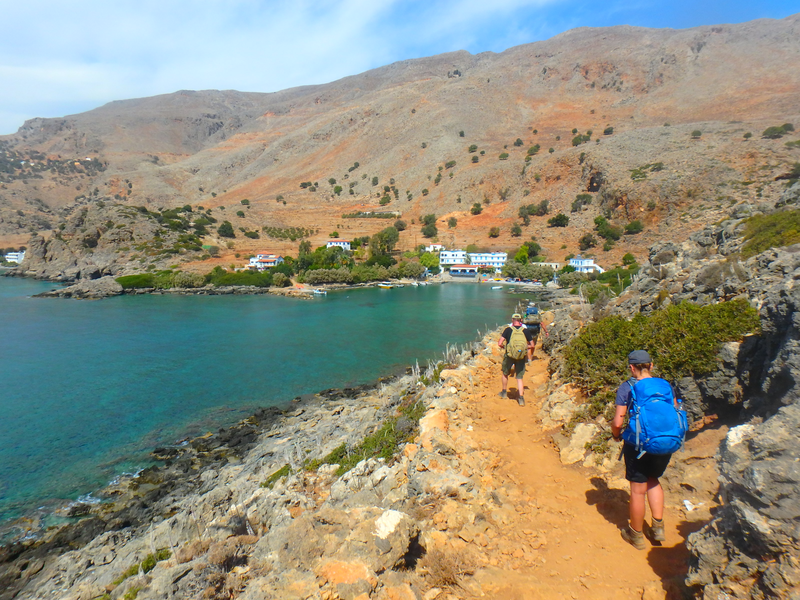 This hike on the E4 walking trail on Crete takes 4 days, including 3 overnight stays at different locations. 02 Hiking the E4 trail on Crete: Samaria – Agia Roumeli – Sougia – Agia Irini gorge – Lissos – Paleochora. 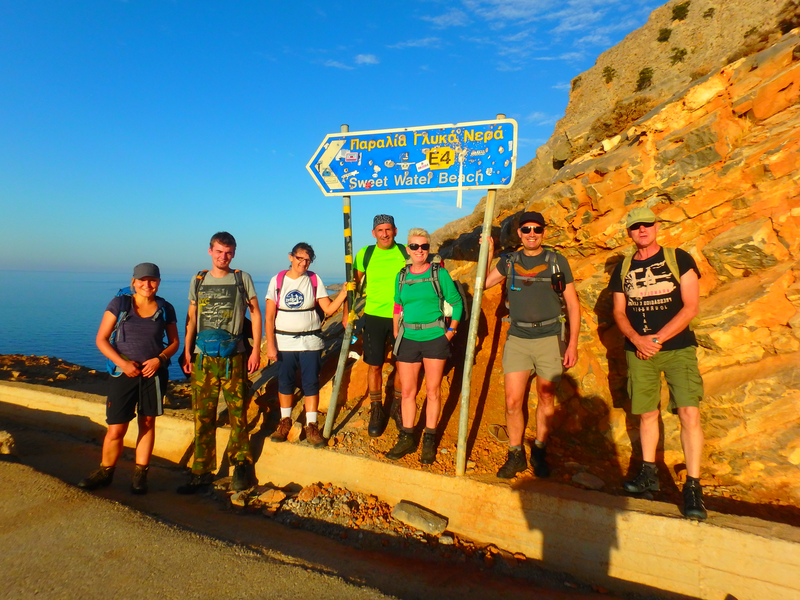 An E4 hike on Crete of 4 days, including 3 overnight stays at various locations. The distance is about 48-55 kilometres. We will be dropped at the entrance of the Samaria gorge and go back via Paleochora. 03 Hiking the E4 trail on Crete: Sfakia – Samaria – Paleochora (Hora Sfakion) – Loutro – Phoenix – Aradena gorge – Marmara – Agia Roumeli – Samaria – Boat – Sougia – Lissos – Paleochora. This hike on the E4 walking trail on Crete takes 6 days and 5 nights. The distance is about 80-90 kilometres. This is a hike you really need to be trained for. 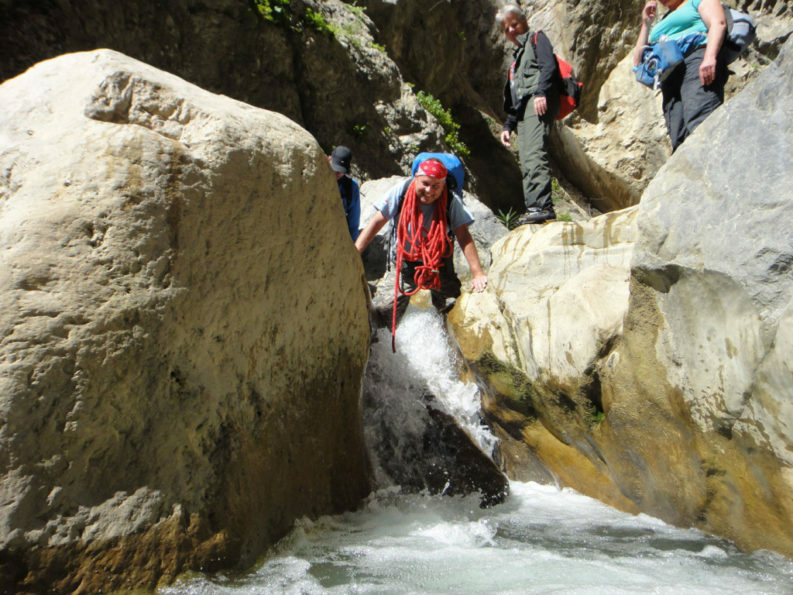 Canyons on Crete: There is a big difference between walking, hiking and canyoning. On Crete there are canyons where people with little hiking experience easily can pass through. By hiking through the many gorges and canyons you can discover the exceptional nature of Crete. 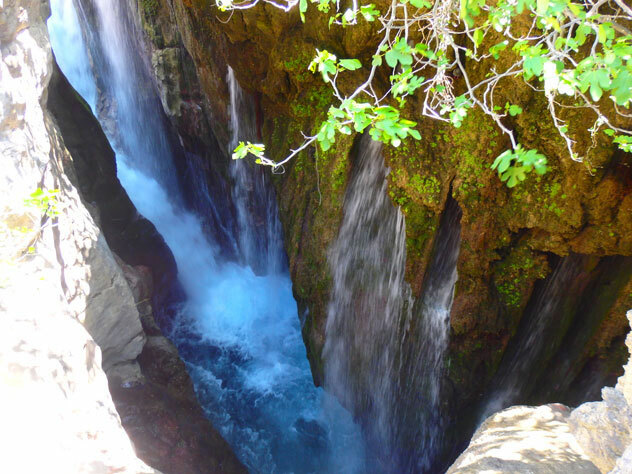 Gorge walks on Crete: An overview of the most famous gorges there are on Crete. 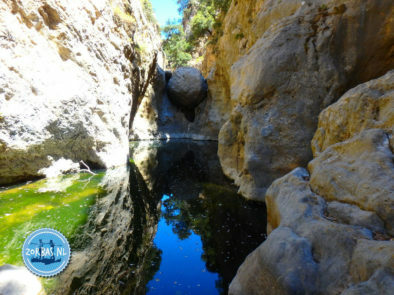 On this page you find all the known and unknown gorges in Crete. Photo book about walking trips on Crete: On this page you find an overview of all our hiking pictures. Throughout the years the amount of images increased a lot and we hope to give you an overview of all the possibilities there are available for your walking holidays on Crete. YouTube movies about walking trips on Crete: The past years we have made many hiking films to show what we have on offer for a hiking holidays on Crete. All the movies are made in summer and winter. Every week we upload something new to the collection. Active outdoor holiday on Crete: For groups and singles a great outdoor vacation on Crete. This page shows the many options we can offer you and is especially suitable for the people seeking a more active holiday! There are also alternatives for combined holidays on Crete: if you want for example more than just walking, you can also combine cycling and hiking on Crete. 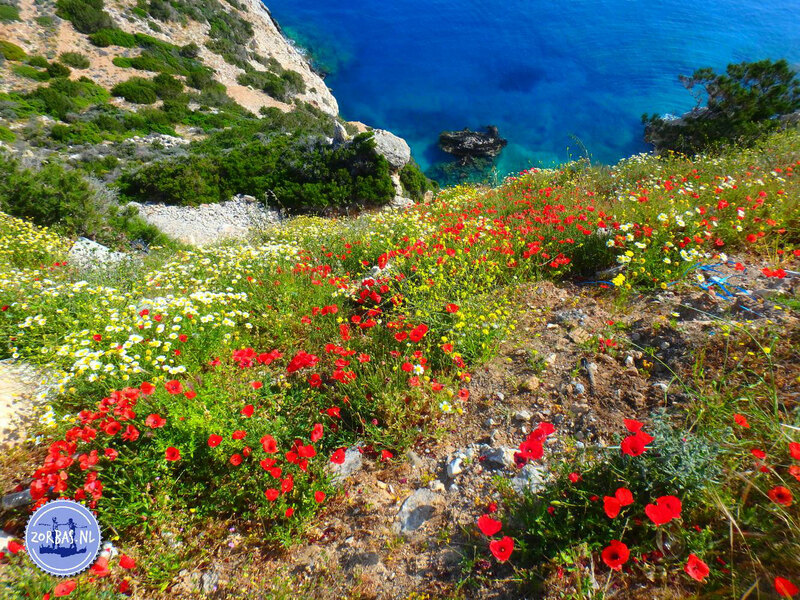 Click for more information on: cycling and hiking on Crete. News and photo page: On Crete today you find the latest pictures, so you are always informed about our activities. You will also find an extensive collection of photo albums and photo books of our excursions, both in summer and winter. 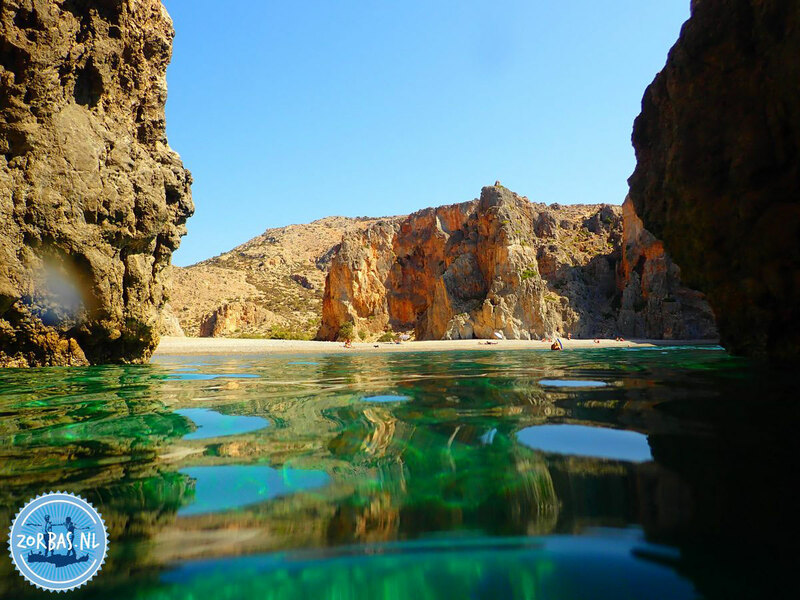 These pictures of the last years were taken by us and our guests of Zorbas Island and give you a great impression of staying on Crete. Excursions on Crete: Here you find a lot of information about excursions during your holiday on Crete like: car and bike rental, car and accommodation, diving, cycling, hiking, hiking combinations on Crete, Greek cooking lesson, playing golf, boat trips, horseback riding, outdoor activities, sailing, jeep safari, fishing, group excursions, weekly excursion programs or fly-drive. 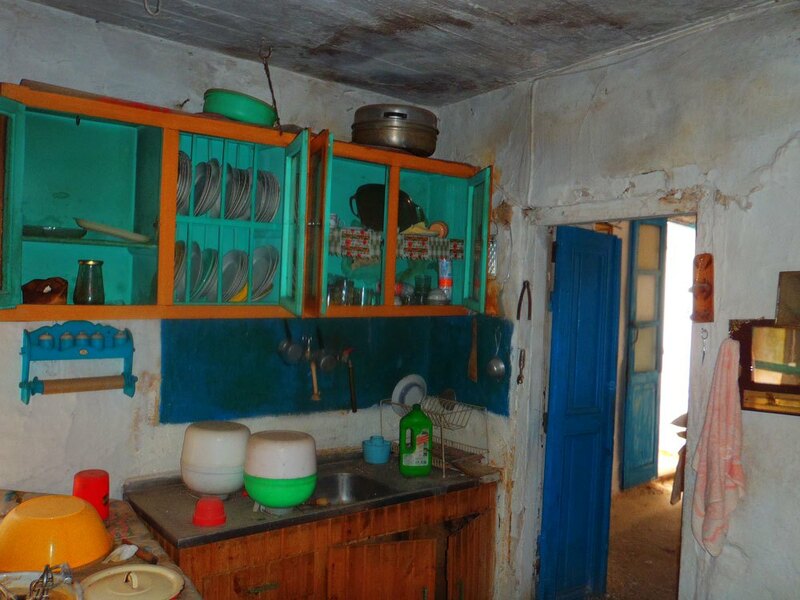 Accommodation on Crete for hikers: This page gives you an impression where you will be staying during your holidays combined with hiking. Even your breakfast can be adjusted to the departure time of your hike. Walking on Crete Greece. 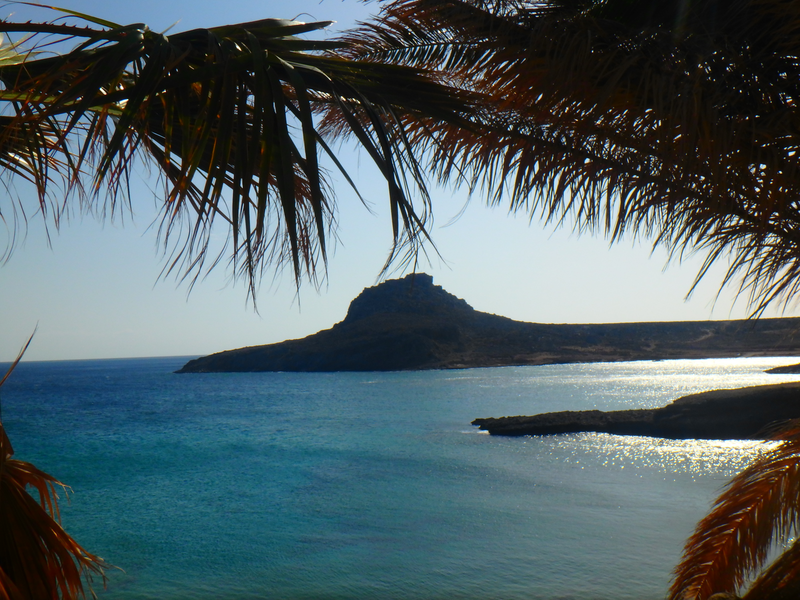 Holidays on Crete: Apartment rental and accommodation on Crete all year round. This is the right address for family apartments and holiday homes, excursions and cheap flights to Crete. 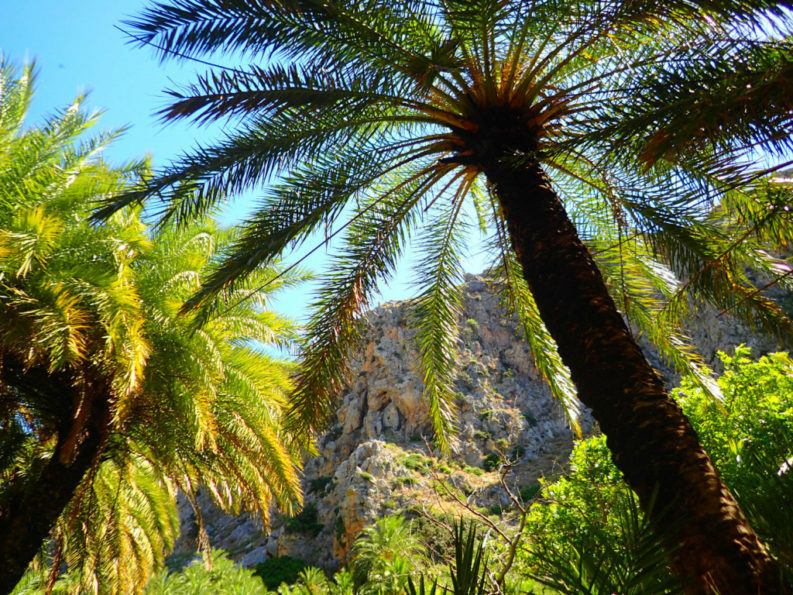 There is a detailed overview of the latest holiday news from Crete including many pictures also about walking on Crete. Crete is the most southern holiday island of Europe.